The Holiday Spirit is upon us. Today we celibate Lucia here in Sweden, as the beautiful snow is falling over our homestead. 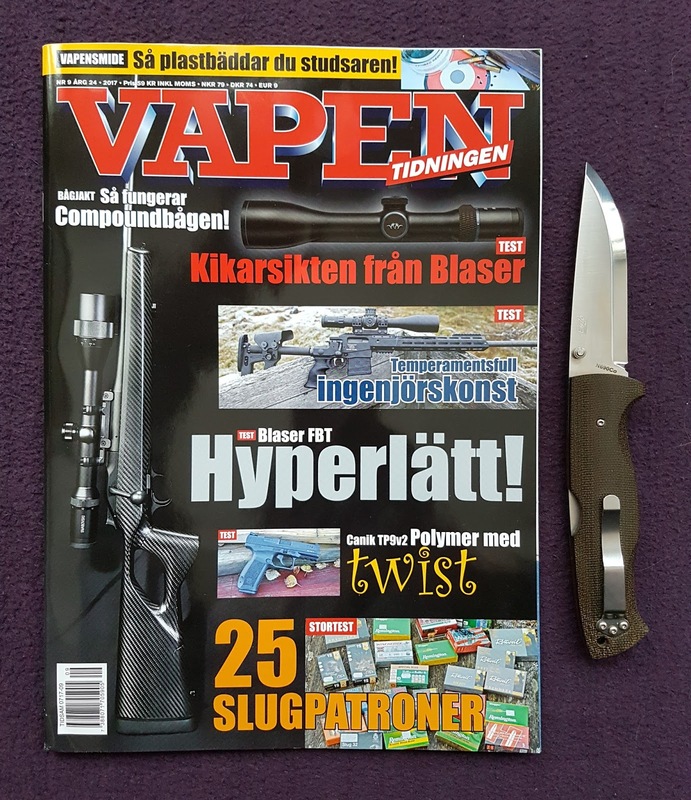 Sitting here thinking of yesterday's hunt while looking through a freshly printed issue of the Vapentidningen (No.9 - 2017), this year's last number of the mag. 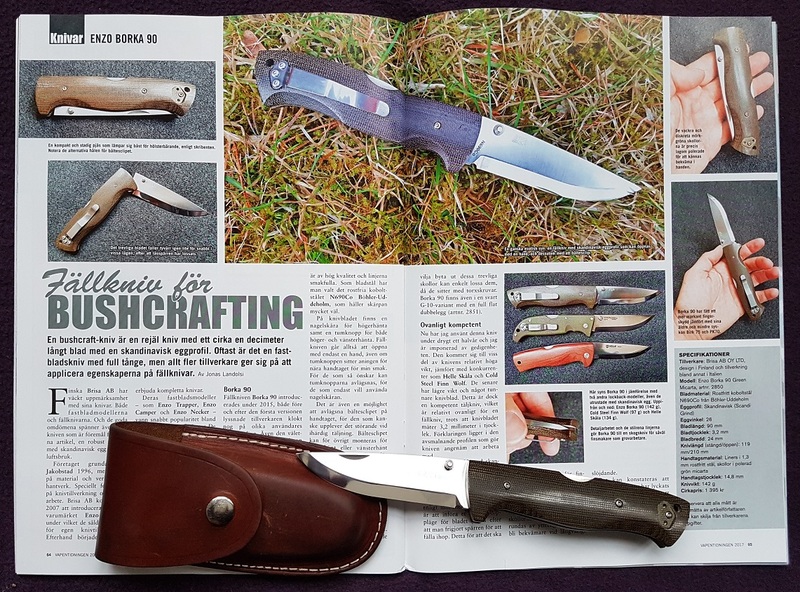 Inside this issue you can read my article on the folder Enzo Borka 90 from the Finish manufacturer Brisa. The EnZo Borka 90 is a bigger and more robust sibling to the models Birk 75 and PK70. 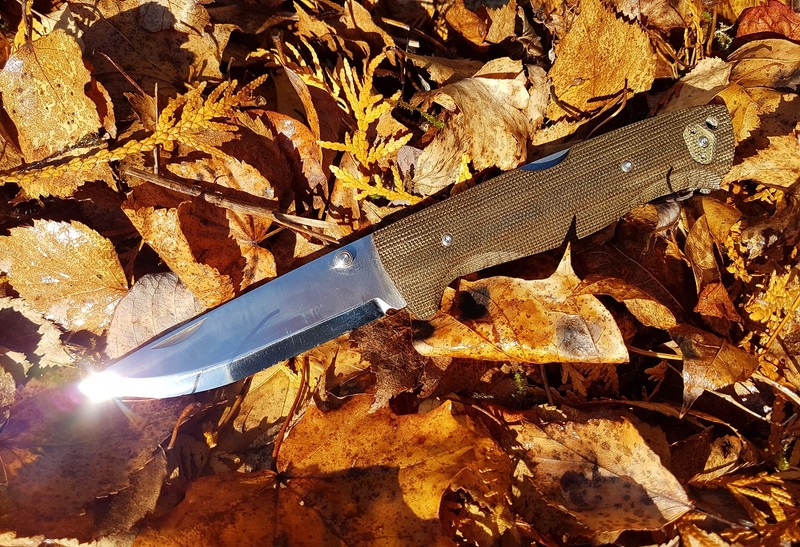 The Borka was first launched back in 2015 and have since then been updated to what can be seen in this article; a very nice bushcraft folder featuring a Scandi grind edge profile with a nice blade shaped for carving. 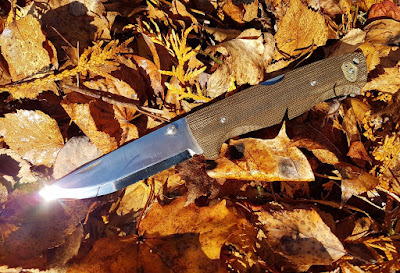 I think the manufacturer have succeeded in creating a robust folder for lighter bushcraft tasks. The Scandi grind folders are strangely enough still an exotic combination. I'll be coming back to the subject of Scandi grind folder in the near future in my ongoing project Foldertest2017. 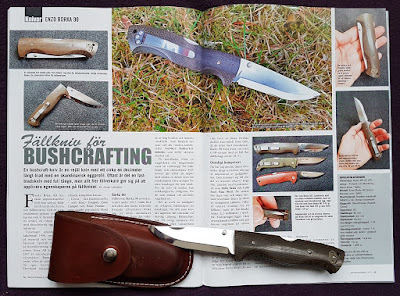 Inside this same magazine you also can read articles like; Slug ammo for hunting (Johan Ljungné), Jens E. Perto's Three favorites and How to pick the rights bow for hunting (Ulf Backman). I want to take this opportunity to wish all the readers of the Vapentidningen a relaxed Lucia, a peaceful Christmas and a Happy New Year! Looking forward to another exiting mag article year in 2018. Please let me know if you have any feedback on my articles, means a lot to me. 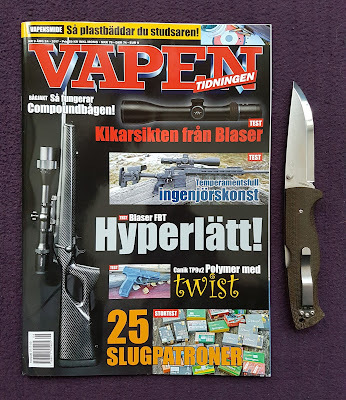 Also take a look at my earlier mag articles inside Vapentidningen by clicking HERE.